Meet Sam the resident kitty cat at CRY charity shop in Eastleigh, Hampshire. 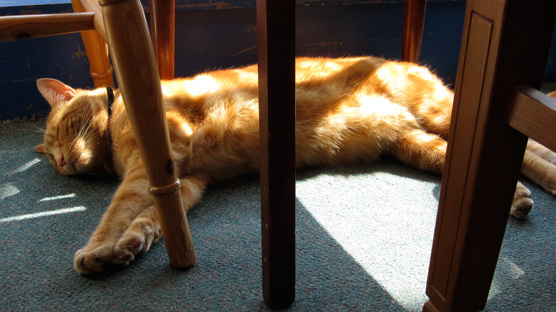 He likes reclining in the sunny window amongst the teak furniture and snacking on tuna. Sam the ginger tom reclining in the window of CRY charity shop. Cats In Charity Shops is my new Tumblr project. I’ll be seeking out the kitty cats residing in our nation’s chazza shops and if you know of a cat in your local charity shop then please submit your snap!